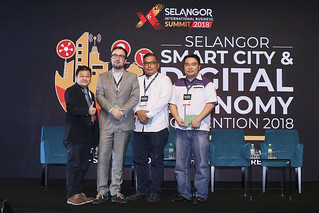 The Internet Alliance (IA) Internet and Business Summit 2017, which was held at the Malaysian Global Innovation and Creativity Centre (MaGIC) on the 23rd of November, brought together industry leaders and trendspotters of the digital economy to speak and share about their experiences and knowledge about the digital economy, and what it means for businesses. Following the opening remarks and address by Norhizam Abdul Kadir, Vice President of Growth Ecosystem Development Division, Malaysia Digital Economy Corporation (MDEC), and Chan Kee Siak, President of IA, with the speakers addressing the digital economy of Malaysia and digital disruptions respectively, the summit began in earnest with the first speaker, Rein Suijker, Executive Director of the Ecommerce Foundation, speaking about the future of shopping. Suijker offered his experiences, both work and personal, about how technology is actually improving interactions, with an anecdote about his father-in-law’s smart home experiences with Amazon’s Alexa, while noting that there remains room for SMEs in the numerous markets that are being changed by technology. 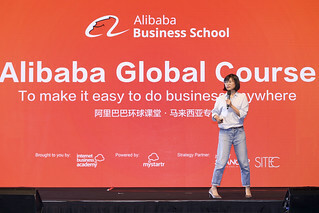 Other than that, Suijker also noted that social media platforms are the new shopping places, while stressing the importance of trust and reputation. Following that, Leon Hudson of licensing company 123RF spoke about global expansion in his capacity as Vice President of Global Sales and Marketing, sharing his own personal experiences of travel and meeting teams around the world, as well as introducing 123RF. The first panel session, on global and cross-border e-Commerce, saw panelists Zed Li of Shopee, Rein Suijker of the Ecommerce Foundation, Ng Chet Chiang of Logistics Worldwide Express, and Wong Mei Inn of eBay, led by moderator Sunny Ooi of ClickAsia, discuss topics such as trade languages, taking into account local culture and knowing the market (or at least doing some research) before entering the market, as well as the logistics and trust required in selling across borders to a global market. Also discussed was the age-old question of marketplace vs own brand in the cross-border context. Next was the panel session titled “Break Boundaries, Leap Beyond Malaysia”, which featured Yeoh Chen Chow of Fave, Leon Hudson of 123RF, Leow Wee Jonn of PhotoBook Worldwide, and TK Tan of WebNIC as panelists. Moderated by Ainsya Mydiana of MDEC, this panel spoke about the boundaries and experiences of each company in going across borders to a global market, including the intricacies and difficulties faced when entering a new market, communications with the ground team, as well as facing the consequences of not being fully prepared to enter a market. Each speaker also shared personal experiences about setting up shop in another country. Suresh Naidu Sadasivan of BlokTex then came on stage to speak about blockchain technology, which he notes is the backbone of a new type of internet that would allow digital information to be distributed and not copied. He explained the concept of the blockchain, and how it cannot be exploited by hackers due to its decentralised nature, and as such, represents an opportunity for the economic grid to be innovated. After that, global internet trends took centre stage with moderator Danny Fong of Crayon Software Experts Malaysia and panelists Chan Kee Siak of the Internet Alliance, Yong Kai Ping of the Selangor Information Technology and E-Commerce Council, Agnest Chan of the Malaysian Mobile Content Provider Association, and John Lim of MOLPay discussing matters such as the role of mobile devices in advertising and marketing, the emergence of new, adaptive SMEs, and how the government support system can aid the transition of traditional SMEs towards adopting digital practices and selling to a global market. Carol Fung of MDEC took the stage after the panel session to speak about the Digital Free Trade Zone, a cross-border trade initiative between the Malaysian Government and Chinese e-Commerce giant Alibaba, which stands as an electronic world trade platform and high speed import export hub catering to the rapid demands of e-Commerce. Fung also spoke about MDEC’s Ecommerce Academy initiative. The final session is a panel session featuring Victor Lo of MDEC as the moderator, with Chan Kok Long of iPay88, Hon Fun Ping of NetAssist, Vijay Velu of KPMG, and Lawrence Ho of InAuth as panelists. 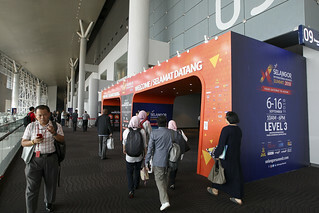 The session, which focused on cybersecurity, saw the panelists discuss cybersecurity in the terms of e-Commerce, with the efforts to improve transaction safety, as well as the importance of database safety.